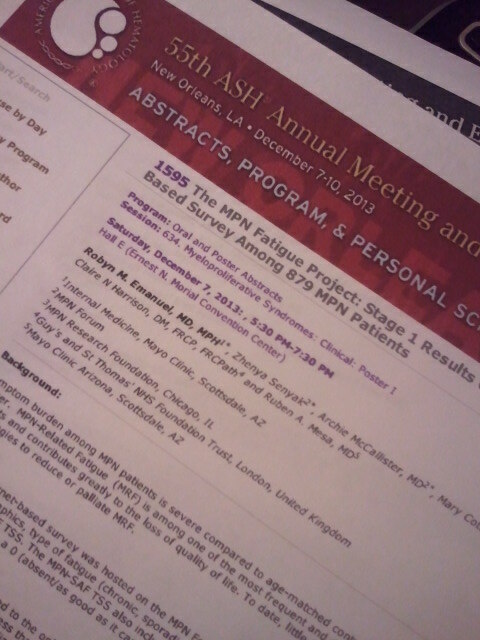 Sanofi suddenly pulls MF drug … The MPN Fatigue Project to debut at ASH … Back to school where hemoglobin is fun … Put your money where your marrow is … Free MPN Town Hall in Houston fills up. It’s hard to know what to make of Sanofi’s decision Thursday, November 14, to halt the Phase III clinical trial of its JAK-2 inhibitor fedratinib (SAR-302503). As recently as May positive results from the trial were being heavily promoted and plans to file for FDA approval after ASH were reported to be in place. All reports through last week were upbeat and there were high hopes for the ASH report, three weeks away. And then, out of the blue, MPN social media lit up when the administrator of the popular Myelofibrosis Facebook page posted notice that her physician told her to stop taking the Sanofi drug immediately and come in for a neurological exam and consultation after the weekend. The FDA, she was told, had halted the trial and all participants were to have pharmacokinetics (PK) testing. Wernicke’s encephalopathy is a neurological disorder often associated with poor nutrition. It presents with biochemical lesions of the central nervous system after exhaustion of B-vitamin reserves, particularly thiamine. Wernicke’s causes bleeding in the lower brain that controls the nervous and endocrine systems. Sanofi is planning to issue a detailed press release on Monday, November 18 and make medical experts available via teleconference, to be announced. 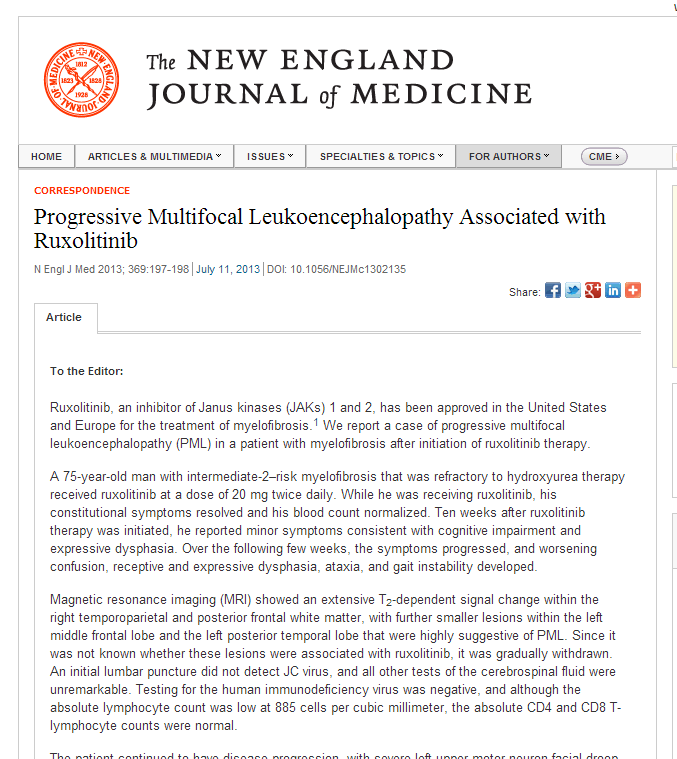 The event is reminiscent of Incyte’s experience with a single case of progressive multifocal leukoencephalopathy (PML) in a patient with myelofibrosis after initiation of ruxolitinib therapy earlier this year. Whether or not the JAK-2 inhibitor is directly involved in either case has not been established. * NOTE: A Sanofi spokesperson has confirmed that the company reported safety issues to the FDA and sent letter to all clinical investigators temporarily suspending the trial. Following full medical review a teleconference will be available to take questions and review options. The patient numbers cited in this story are unofficial estimates only. Think about your hemoglobin lately? Sometimes, it’s refreshing get out of the old rut and root around where you’d never expect to find yourself. It’s an exercise program of sorts…but for the mind and spirit. It’s the only way I can explain finding myself exploring the internet in search of — of all things — mathematical symbols. I wanted to understand those strange hieroglyphics that have always stood between me and a Nobel Prize…or at least a decent grade in math. Instead, I stumbled across a rich and FREE source of small, creative lectures on lots of stuff I was actually interested in. The site is run by Kahn Academy and here’s a taste of two mini-lectures with animated chalkboard. 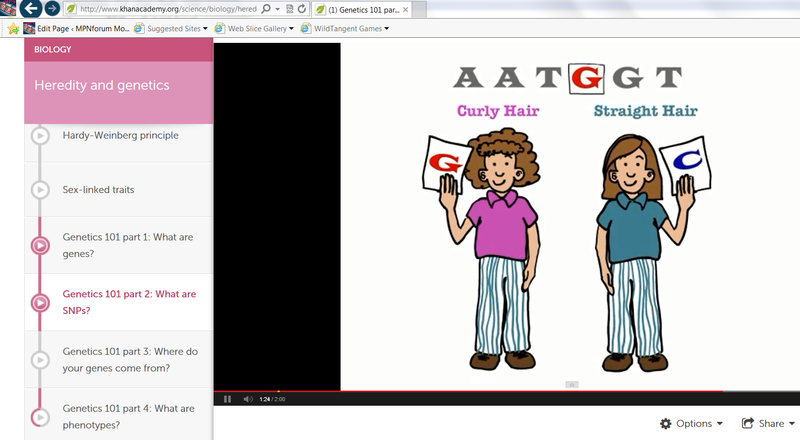 The presentations were put together with the help of our old friends at 23andMe so if you ever really wanted to know what SNiPs are all about, check out the series on genetics. The short lecture I found most compelling, concerned something I hadn’t given much though to lately: Hemoglobin, and how the body handles gas exchanges between cells and lungs. We talk about RBCs and hemoglobin levels all the time. But beyond visualizing red disks with hemoglobin molecules replacing the cell nucleus storming our circulatory system I come up empty. I read about some painful deformation of the cell as it squeezes past capillaries into ever small spaces around cell walls. However, the actual work of bringing oxygen to the cell and carting off the carbon dioxide waste products remained a black box. No more. After five minutes of viewing, you can now quiz me on the Bohr and Haldane effects and be astonished as the mystery unravels. Give it a shot…get out of the old rut and astonish your friends in the process. We are so close to a cure. 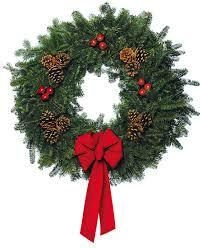 This is the Season to give the gift of hope to those of us shackled with our MPNs. Dig deep this year since this one’s for our Foundation. Your donation is fully tax deductible and will be fully employed in finding and funding basic research. In the past decade every concrete major breakthrough in MPN research has been helped along by MPNRF. Now it’s our turn to help. 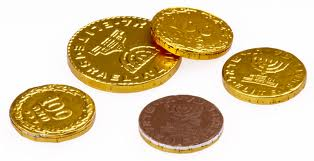 Gilt or Gelt…Do it, already…please. 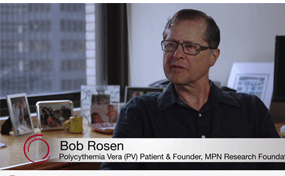 Please donate today to MPN RESEARCH FOUNDATION! Three excellent reasons to be in Houston, Saturday, November 23. 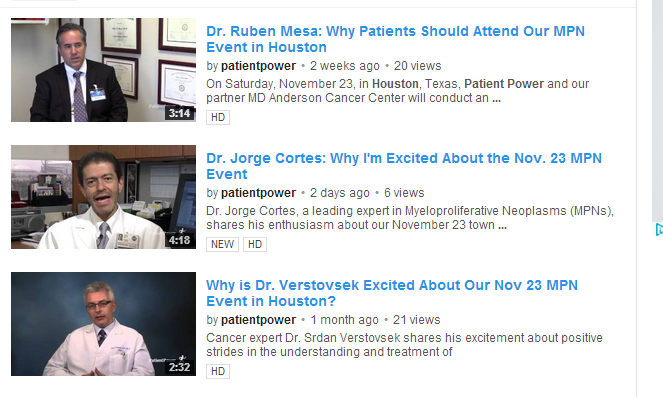 To view these video clips for the MD Anderson/Patient Power MPN Town Hall Meeting you can go here. I love Khan Academy and refer parents and kids there often! The tutorials are really good.